NOTES --- I originally had a Sapphire Nitro+ RX470 4GB in this build but quickly switched to the 4GB RX480 for the performance boost at only an additional $20USD. --- Since then, the case has been flipped around (still vertical). Thanks to the heads up from tadashi. I've always wanted to work inside of a case that really pushed me to the limits of what was spatially possible, i.e. the Fractal Design Node 202. It's sleek, keeps both the motherboard/CPU and GPU away from one another in their own compartments, is fitted with dust filters and doesn't look or feel cheap. As far as cable management goes, it was a nightmare but a welcoming challenge. There is a small middle section but it gets quickly bombarded by SATA cables and other misc wires needing to cross through. To accomplish a clean system, I had to also use tiny little slots on the very left and right side middle-edges...and a lot of zip ties, especially near the GPU fans, (I had a cable touching) since the clearance around the card gets quite tight. After unwiring and rewiring things a few times, I believe I finally got it about as clean as physically possible/to where I felt comfortable. 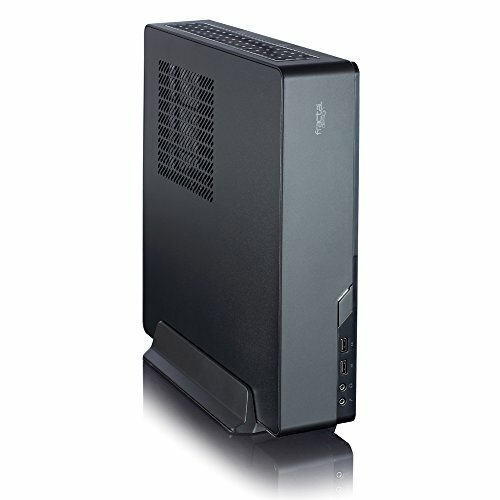 This case also comes with the 450w Integra PSU built in with cables of appropriate length. 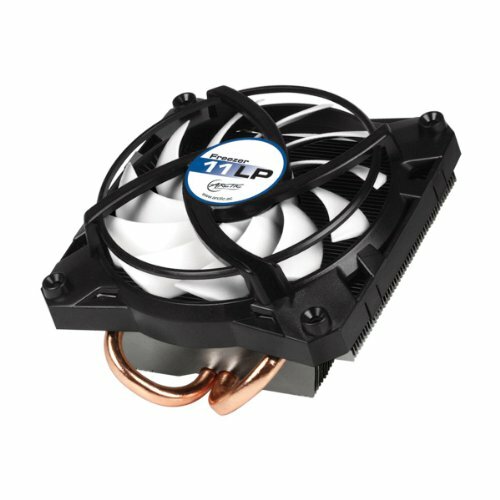 CPU COOLER (ARCTIC Freezer 11 LP) This little bugger was only $17 and damn has it performed. It's dropped the temps down a comfortable amount and it installed with ease. A couple push pins and a few screws. After just recently installing a Hyper 212 EVO...this was a piece of cake comparing. Thankfully. I also wanted something (anything) better than the stock cooler since the CPU would be operating in a semi-cramped space with less than great airflow (compared to a standard case). MOBA (MSI H110I PRO AC Mini ITX LGA1151) I like MSI and I didn't need anything too flashy here and since I was working with a locked processor, the H110 did just fine. Also, seeing as I built this for mobility, having built in wifi was a great addition. Also, on-board USB 3.0 is pretty nice to have. In short, it's a nice little board with everything I need and nothing I don't for a good price. 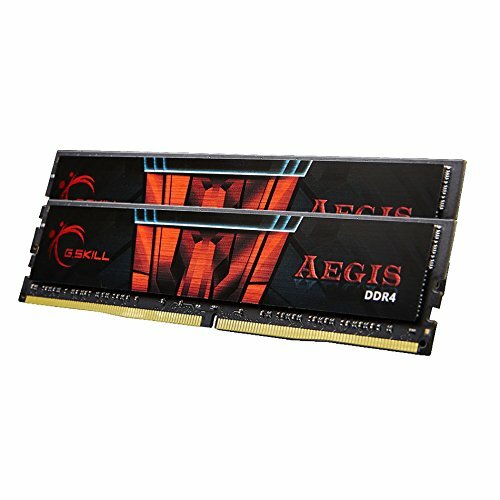 MEMORY (G.Skill Aegis 8GB [2x4] DDR4-2133Hz) 8GB of ram is really all I need for a build of this caliber. Didn't care for the look (since I can't see it anyway) and 2133Hz is the max speed the mobo supports. Nothing really to say here. I'm familiar with and have purchased parts from G.Skill before. Was a simple buy. I could have went with a single 8GB stick but I wanted to use up both DIMM slots. 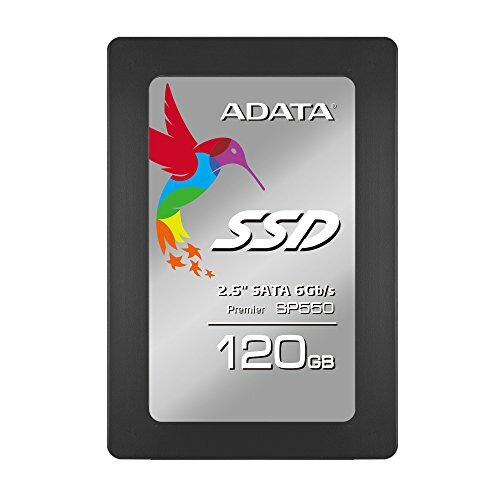 STORAGE I went with an A-Data 120gb SSD for the OS. Could have left this out and saved ~$40 but these days, it's almost silly to make a built without one in some variety and the boot up time is near instant. As for the 500gb HHD, I could have easily went with 1TB for very little more but for the sake of keeping near $650, I went with the 500. Also to note, the Node 202 only fits 2.5" drives so I had to go with a laptop HDD. Luckily I found the one I did with a 64mb cache and 7200rpm disk speed for a reasonable price. GPU (Sapphire RX 480 Nitro+ 4GB) This is the bread and butter of my build. This card is undeniably amazing performance for the dollar. Sitting just over $200, it's a 1080p killer at High/Ultra and even performs admirably aim many titles at 1440p. It pushes a 1342MHz boost clock with a simple flick of a bios switch on the card. It also stays quiet and when not under load, doesn't use the fans to keep noise levels down. As a side note, it comes with rgb lighting (and though it can't really be seen) if you look down through the top vents of the case, you can see the Sapphire logo lit up. Kinda neat. Like an easter egg of the build. 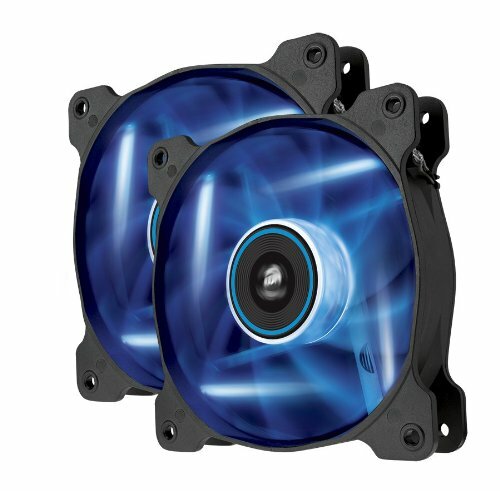 FANS (x2 Corsair AF120) - I had these from a previous build Two of these sitting snugly (and I mean snugly) up against the GPU keep it nice and cool. I used the cards as a support as opposed to the little dongle-corner-thingy that comes with the case. I believe I noticed a 10°C difference in card temperature which is insane and at idle, the card sits ~5°C lower than room temperature. CPU side is supposed to be up, you are chocking the exhaust for your CPU and PSU air. GPU exhaust wont be blocked due to the design of the case when you flip it. Did you use a fan splitter so you could utilize those case fans or did the Mobo have 2 fan headers? I had to use a fan splitter. MOBO only had 1 cpu and 1 case fan slot. 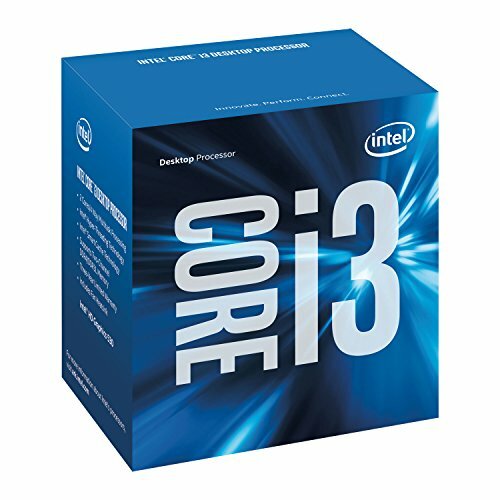 Does the mobo have Bluetooth? 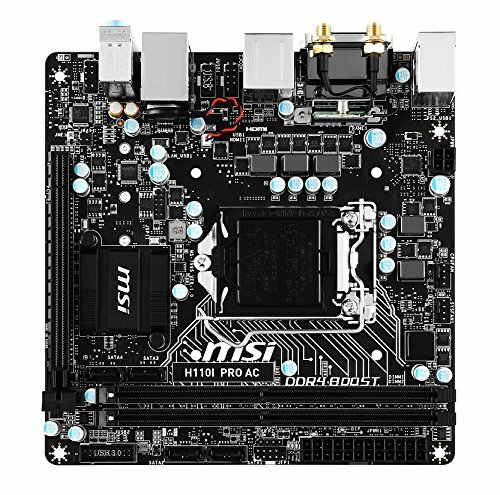 Does the PCI express right angle connection from the mother board to the graphics card come with the mother board or did you source this elsewhere? It came with the Node 202 case. Are you running those 120 MM fans as intake or exhaust? Even though you dont have a blower card? If I had a blower card I would be running the case fans as exhaust. Sure! Would love to see. What're your questions? And thanks! The card fits really nicely. There's plenty of room to plug in the 8pin VGA with some breathing room. The case comes with a little angled wedge that you can slide up and down with the loosening of a screw but if you do use two 120mm fans, they sit REALLY snuggly with maybe a few mm of clearance, therefore acting as a support if the card were to sag (which it shouldn't). Temps sit really nice though, and using Sapphire's overclocking/fan speed program, I have the card's fans actually set to only spin above 40°C and kick up when needed. When I stress tested it using FireStrike, I only saw the card hit mid 60°s (I think 67°C at max). It was running a bit over 70°C without the two AF120 fans constantly blowing on it though. (Sorry for the long response).